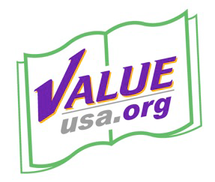 In 2014 VALUEUSA and Research Allies for Lifelong Learning designed a rigorous two-year, mixed methods leadership study, Adult Learner Leadership in Education Services (ALLIES). Data collection was completed in 2015-16, and followed up on changes that occurred with participating programs and learners in contrast with those in the control condition. The Year 1 Executive Summary shares findings from the evaluation’s first year. Part 1 of the Final Year Report, Key Quantitative Findings, was released in September 2016, as the first in a series of reports from the full evaluation. Part 2, Qualitative Summary, was released in December 2016, and Part 3, Connections of Critical Thinking Measures with Learner Experiences, in January 2017. Part 4, the last report in the series, evaluated Outstanding Leaders in February 2017.